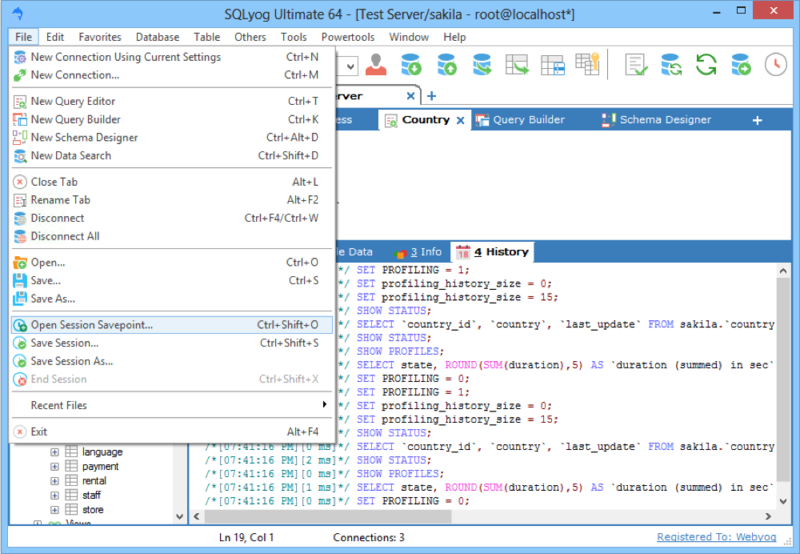 SQLyog has the ability to save "sessions savepoints" and open connections from the savepoint to the same state as when the savepoint was generated. With the term "session" we understand the sum of all open connections as well as all Query- , Query Builder- and Schema Designer opened in every connection as well the History tab for every connection. With the term "session savepoint" we understand all information of the "session" s we just defined it written to a file (a SQLite database is used). Session savepoints can be handled automatically by SQLyog, on demand by user (or both simultaneously). 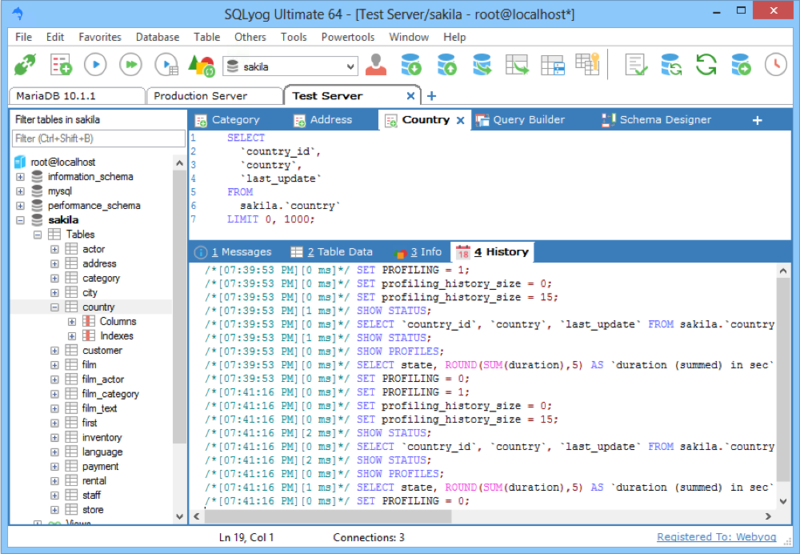 SQLyog will restore your previous session along with all the query tabs, query builder tabs, schema designer tabs and the history tab the way you left it. This option can be found in Tools > Preferences > Others > Restore session on startup. Open Session Savepoint: This option is used to open a saved session. Save Session: Save current session. Save Session As: Save current session ina different file name. End session: Session will be ended but the connections will not be closed.